In future, German professional football will uniformly adopt the “DFL Deutsche Fußball Liga” name. 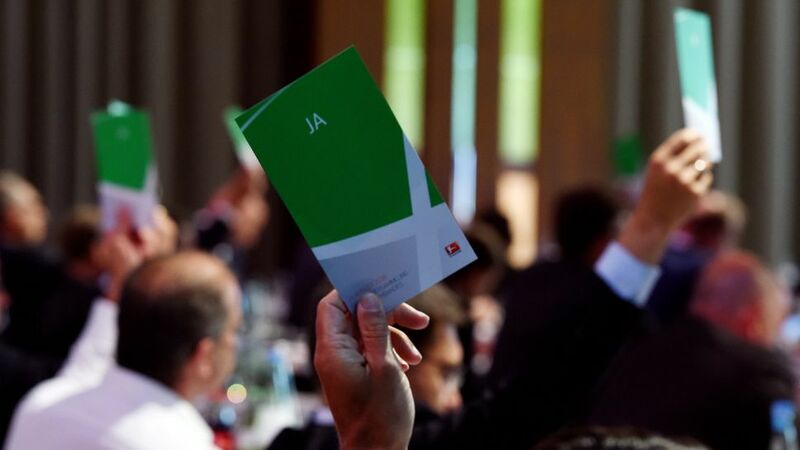 At the general assembly held Wednesday in Berlin, the 36 Bundesliga and Bundesliga 2 clubs passed a resolution to this effect. Accordingly, “Die Liga – Fußballverband e.V.”, the association of 36 clubs, was renamed “DFL Deutsche Fußball Liga e.V.“. DFL Deutsche Fußball Liga GmbH will continue to handle operating business at the league’s headquarters in Frankfurt. All the other resolutions passed entailed amendments to the league’s bylaws. The general assembly unanimously voted in favor of modifications to the match clothing rules, including amendments relating to the future individual marketing of sleeve badges by the clubs from the 2017/18 season. This is the date on which the contract with the current premium partner Hermes expires. Individual marketing by the clubs of the space on the referee display panels, on which a resolution was also passed, will be initially limited to the seasons from 2017/18 to 2020/21. In addition, the general assembly passed resolutions to amend the bylaws to provide the basis for implementing and utilising electronic performance and recording systems and for conducting offline and live testing of the video assistant.